We've had our Radicals/Rationals test and the results are really great. The median is a 94 and the average was a 91. This is for 27 students. 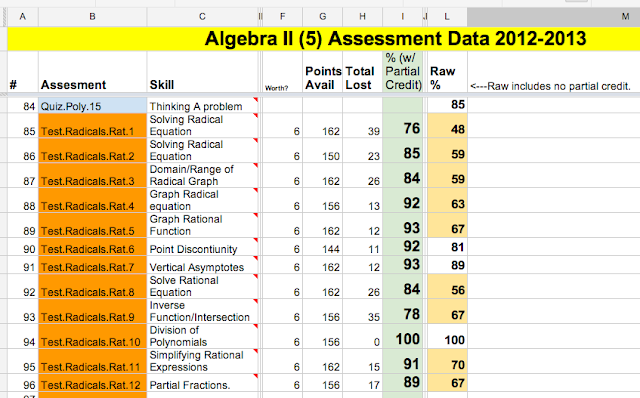 That being said, if you look at the "raw" column of my data spreadsheet large groups of students in Level 5 still making mistakes that are costing them points. 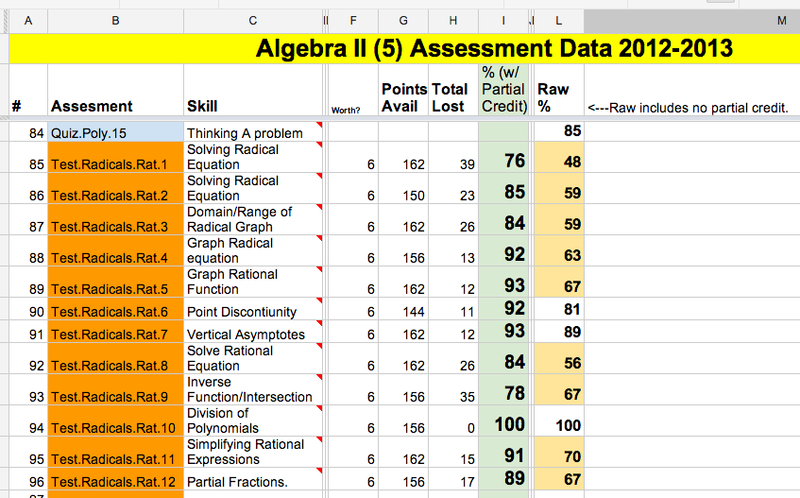 The green column is the data with partial credit. 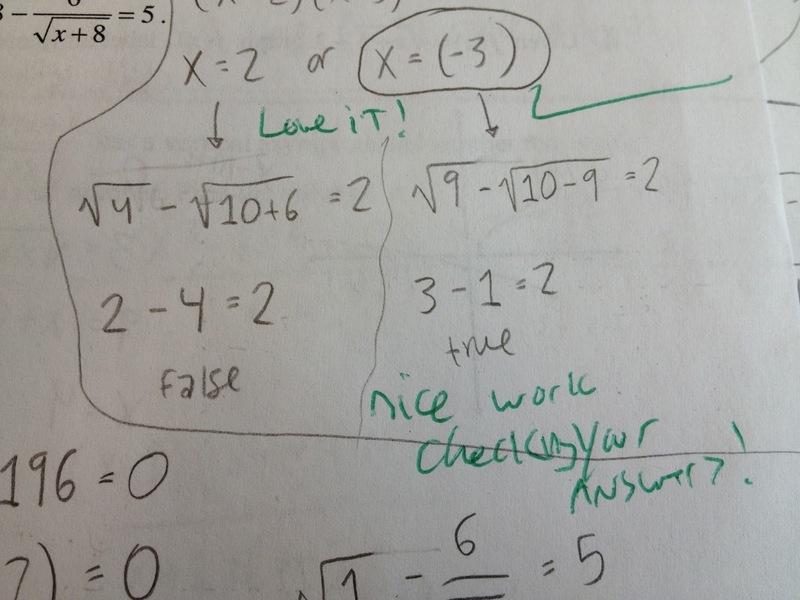 I emphasize with students how much of their work is correct, but there is still room for improvement. In the sign errors and algebra where tiny mistakes are made. Continuous improvement and the pursuit of excellence! Nevertheless, I am really happy with these results. p.s. This report is being released on March 28 because I had students who had not finished the test. The MCAS period delayed this. Here is some great work. 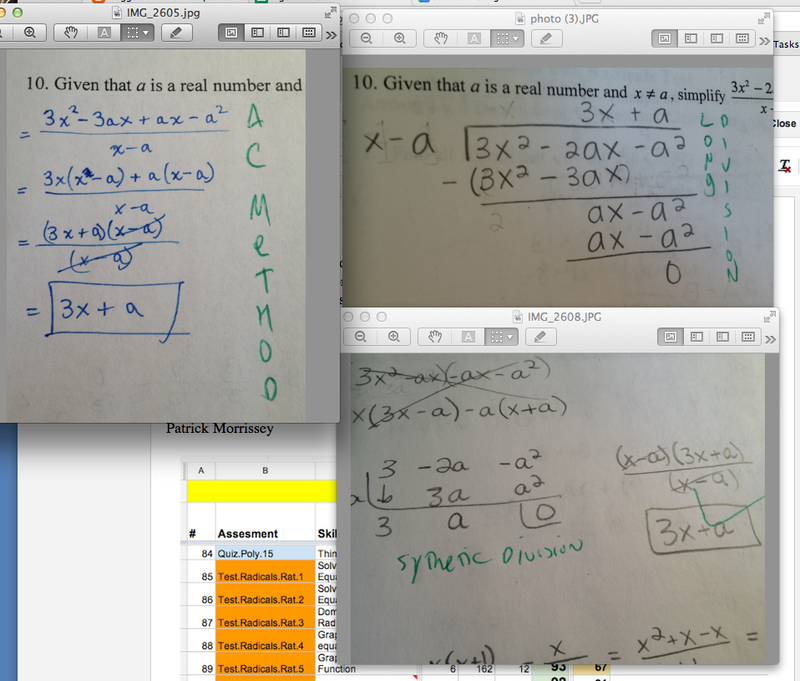 Three different methods to solve the same problem...AC Method, Long Division, and Synthetic Division. 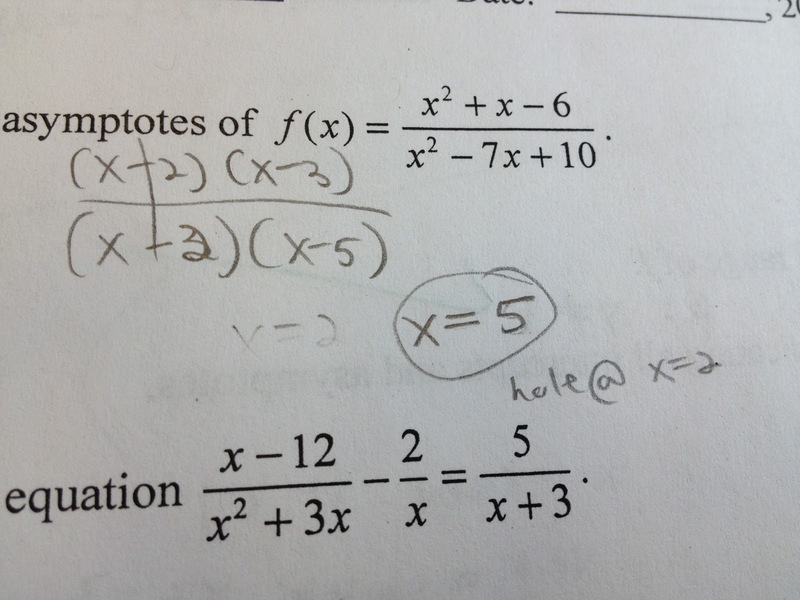 A fourth method is to factor. 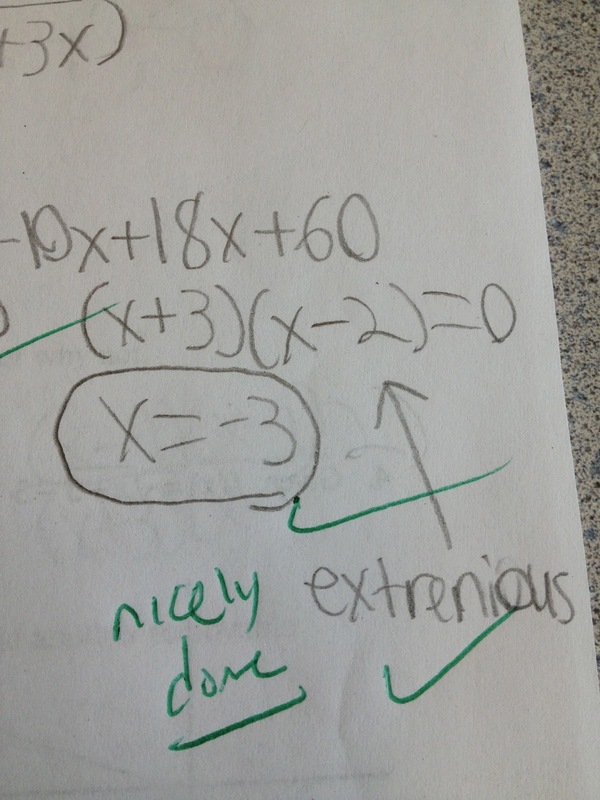 Below, Nice work remembering to check for "extraneous" solutions. 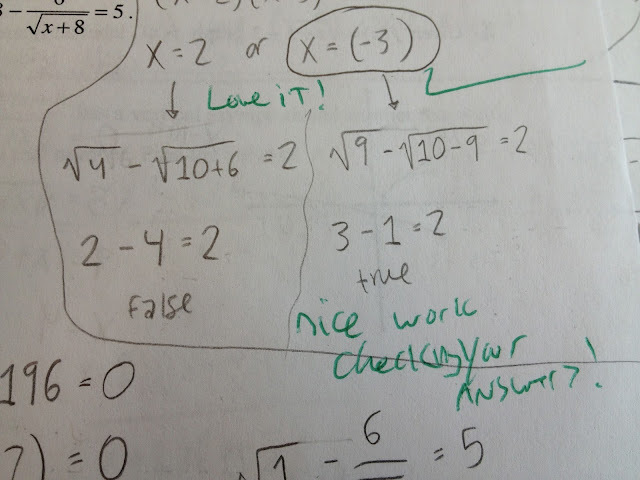 Below, this student has the habit of mind to check her work!. Below, great work making sure to factor the numerator to look for a possible "hole." 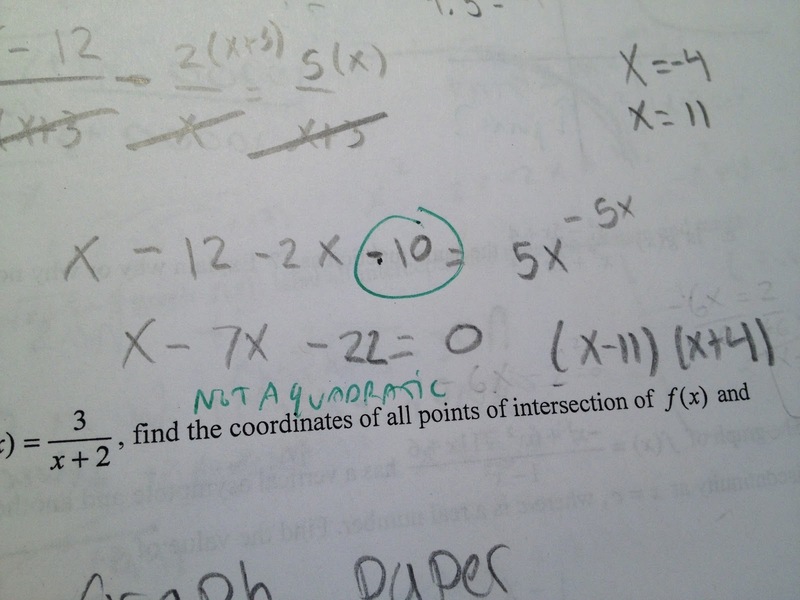 Below, this student tried to factor a non-quadratic. 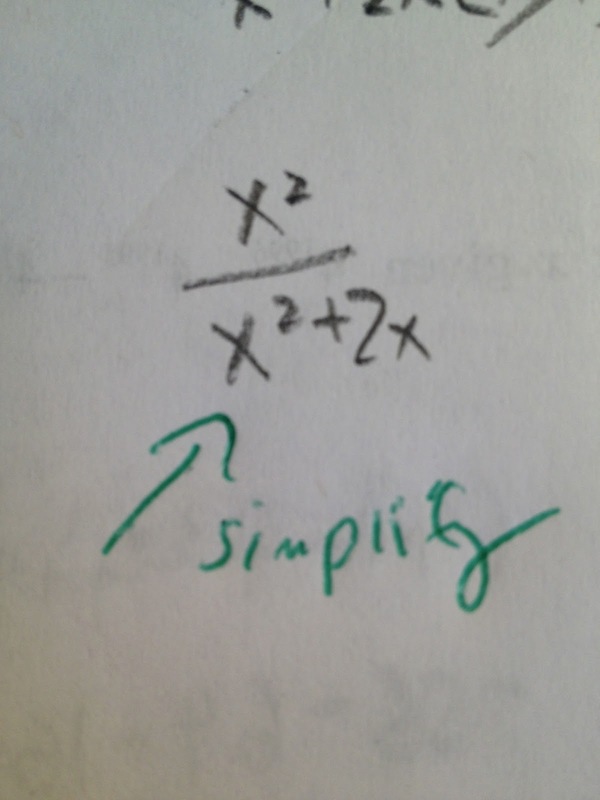 Below, this expression needs a small simplification. Do you see it?